The alarm clock went off at 2:45 am, leaving me puzzled for a moment. Why on planet Earth do I have an alarm clock set at 2 am? After a second, however, I realised, that it’s the day of the weekend trip to Marseille and in order to get to Stansted Airport (that is located just outside London) at 4:45 am to catch my early flight, I need to get out of my bed not later than 2:45. Yes, downsides of living in such a big city as London. On the one hand, London is a fabulously connected city with thousands of flights departing every day, cheap tickets (I got mine for 10£ return, what a catch for a weekend in Marseille!) and 6 airports, but on the other hand, getting to some of these airports is quite problematic. I have a love-hate relationship with Stansted: I love it for cheap flights that depart early in the morning leaving me with 2 full days during a weekend trip. But I hate it for being so far away and being inconveniently located. It takes me nearly 2+ hours to get there (and that, when transport works like a clock, which often isn’t the case). Anyway, that day the trains weren’t working, so we took a National Express bus departing from Waterloo that brought us to Stansted in less than an hour (luckily, there is not much traffic at 3:30 am). The airport was as always full: all the Ryanair flights are scheduled to depart in the morning, so sleepy people were queuing for check-in, bag drop and security lanes. Ryanair changed their bag policy again, so at the boarding, there was a fair amount of confusion. All that was solved very quickly and I found myself sitting in the aisle seat somewhere in the 4th row. Ryanair also doesn’t let you sit together with your travel companion unless you booked sits together for an extra price. Our tickets were pretty much the same price as the seats in the plane, so we decided to sit separately and leave the flights being ridiculously cheap: £20 for two (!) return tickets from London to Marseille. Can you even complain about anything with these prices? And these tickets were for a weekend (like prime time)! Marseille greeted us with the warm and sunny weather, but then something went wrong: the sun hid, instead, it started raining. You know this nasty kind of rain which doesn’t let you enjoy walking around but is not enough for using an umbrella or hiding in some cafe while waiting for it to stop. We checked in at our hotel in Vieux Port (Old Port), this time we stayed in Mercure (with its signature purple rooms) and went off to explore the city. The location was perfect, so we couldn’t wish for more. Check the availability of Mercure now. First, we went to eat at Toinou – an amazing self-service restaurant with the freshest seafood ever and really affordable prices. A massive platter (in the photo) was just 15€. Secondly, we went to see the Old Port. In the mornings, it’s usually very crowded, as a lot of fish is sold there. In the afternoon, however, all the stalls were closed: only the seagulls were flying around trying to find the leftovers of fish. Our next stop was the main cathedral of Marseille that was around 20 minutes away from where we were. After a nice stroll, we finally reached the cathedral and went inside. It was really huge and impressive, but looked quite empty inside! 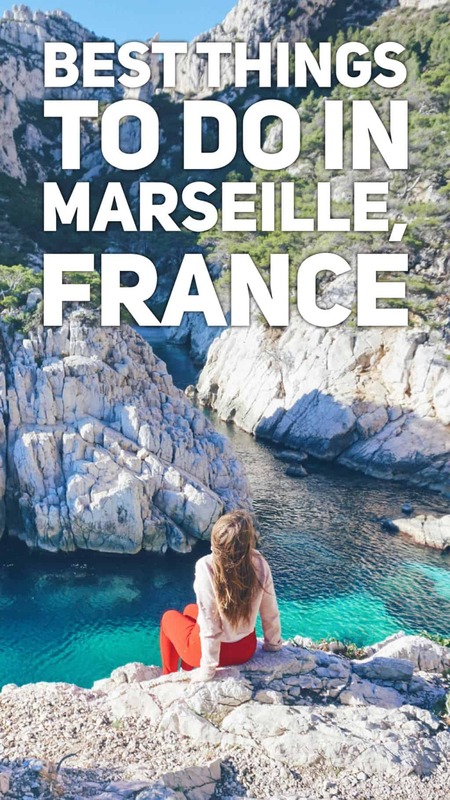 Afterwards, we headed to the fort of Marseille and walked there for a while before returning to the Old Port and buying one of these tours, where you sit on a small train and listed to some excursion in 5 languages at the same time. That was probably one of the worst decisions ever, as the weather changed dramatically and we not only froze but also got wet on this train. 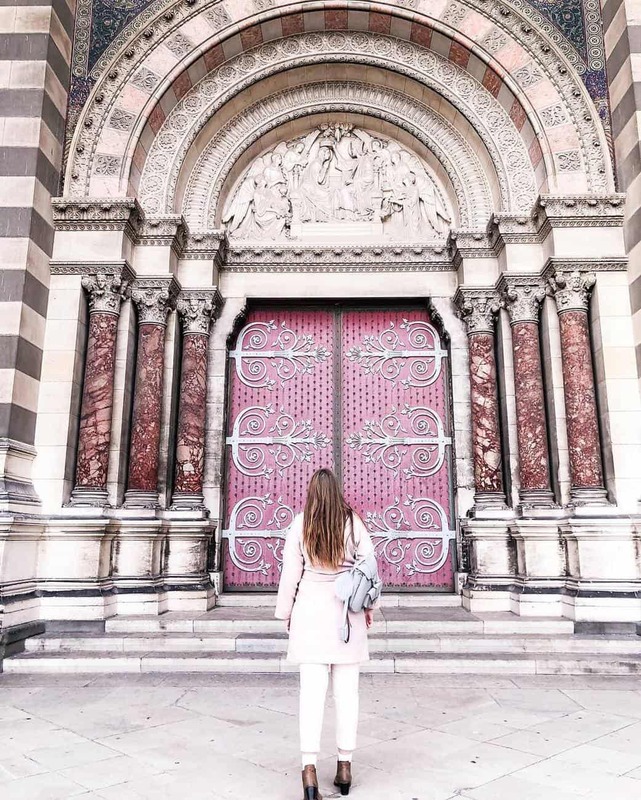 The only good thing – we managed to see the Notre Dame de la Garde and the breathtaking panorama of Marseille! The city was stretching so far, that it looked like a multimillion megapolis! The way back to the Old port was as miserable as the way up, so all I wanted to do was just to jump off the train during one of the traffic light stops, but unfortunately, that was prohibited. When we returned to the Old Port, I couldn’t feel my hands for at least an hour. In order to get warmer, we decided to visit the Galerie Lafayette (one of the most famous department stores in France if not the most famous one). There was a nice food floor there, so we were browsing interesting french delicatessen for about an hour, before getting back to our hotel. Instead of going out for dinner (we were extremely tired), we just walked to a Carrefour and bought some nice French groceries. I actually love groceries in France and for me, it’s better than a dinner in a restaurant. I really like French cheeses, pate, terrine and baguettes, so if all these products are fresh, it’s just awesome. 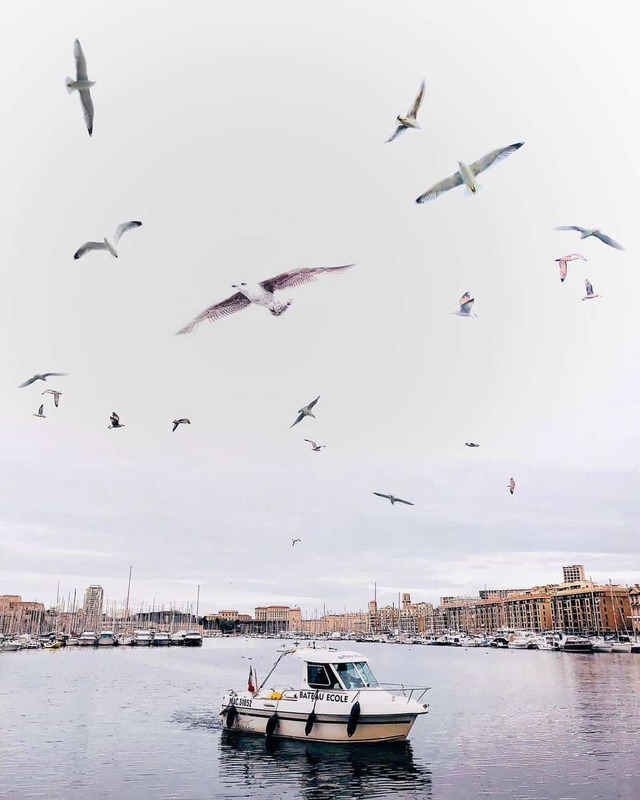 When we woke up on our second day in Marseille, we realised that the storm has finished – it was really sunny outside (and very windy), so we decided to go outside the city, to the beautiful lagoons of Cote D’Azur. 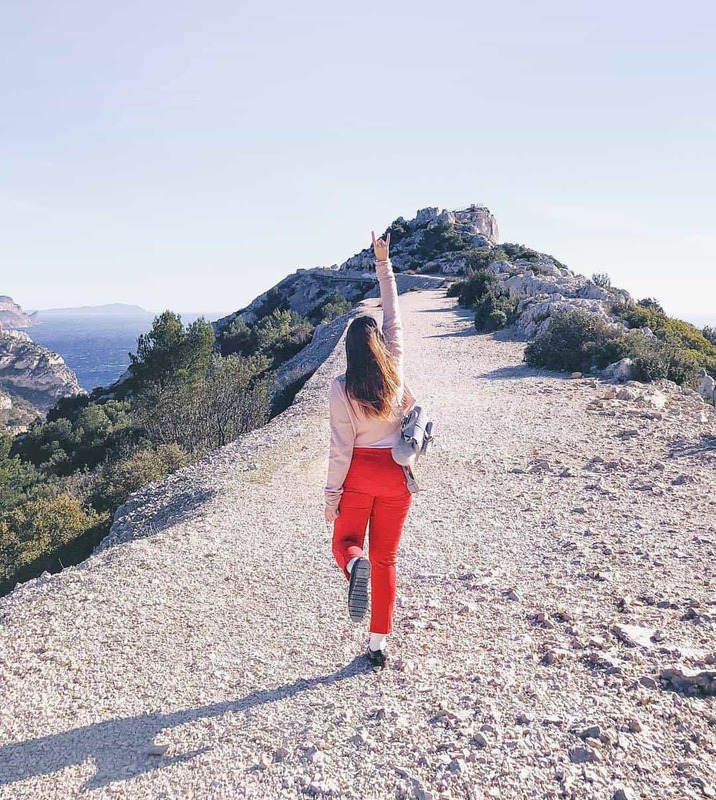 We took a bus to the Luminy park (just next to some University of Marseille) and then started hiking all the way to the Calanque de Sugiton. I must say that in order to get there, you need to have internet access and constantly check on Google maps, where are you going. Don’t forget to bring comfortable shoes, as a huge chunk of the route is actually a hike (a medium level one). 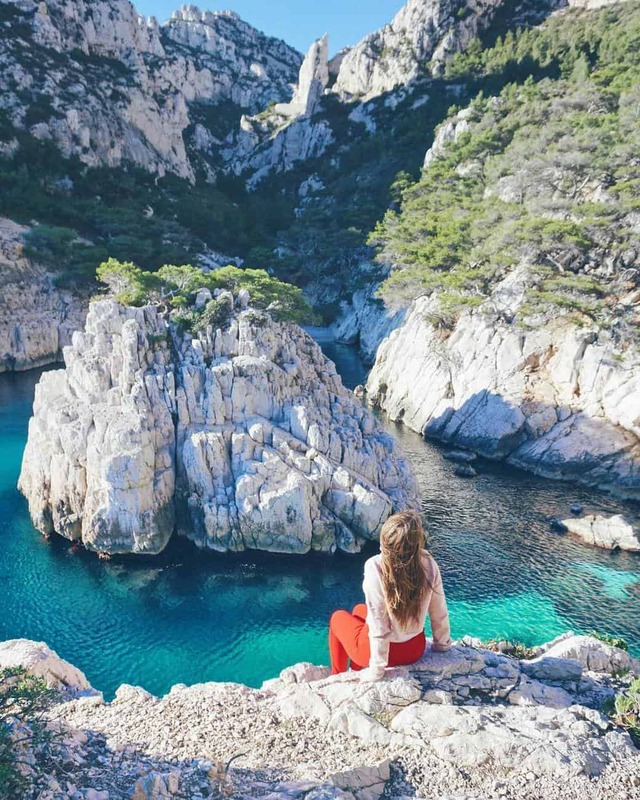 However, the Calanques of Marseille is totally worth it. 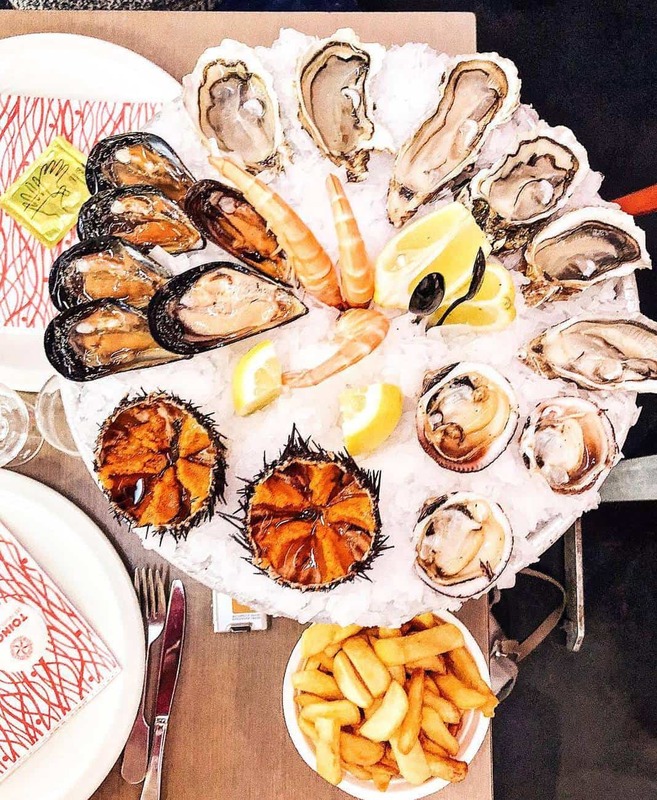 At around 4 pm, we returned to Marseille Old Port and went to have late lunch/early dinner at the only place that was open (French people have fixed times for lunch and dinner, outside of which you won’t be able to find restaurants serving food). Nonetheless, this place happened to be awesome and we really liked our meals and the service and would definitely recommend it to you. Later on, we returned to the main railway station, where we took the bus back to the airport and got there in 30 minutes. I really liked Marseille. Even during the coldest month, January, it looked cheerful and vibrant. 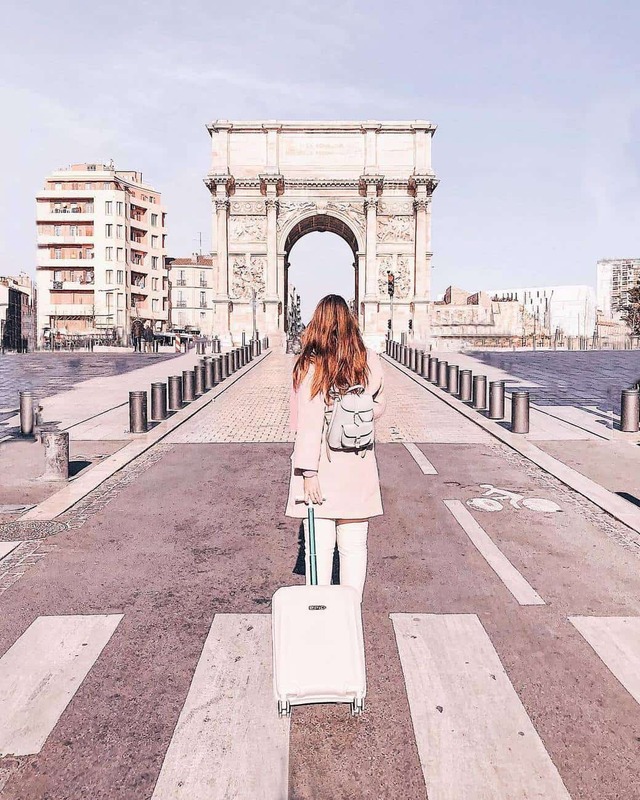 There are many things to do in the city and obviously, some of them you can only do in summer, spring and autumn, but not in winter. They include tours to Provence and neighbourhood places.